These soft, delicious Irresistible Brownie Bites are the perfect two bite brownie! Last Friday night at church we had an Emergency Preparedness activity and along with the all presentations there was a potluck. As would be expected the dessert table filled up quickly. Although my first pass by garnered little interest in the offerings, it wasn’t until someone asked, “I have to know, who made those little powdered things? I need the recipe!” Well I quickly made my way back over to the dessert table and scooped one up, and my oh my was it fantastic! Seriously there was a rush on the table and within minutes only crumbs remained. Needless to say I had been thinking of them ever since and lucky for me, I just happened to bring home the recipe that night. In my opinion you can never have too many brownies, I’d offer to share – but today is our Anniversary and every special occasion calls for chocolate. So go on and mix yourself up a batch of these right now, I know you will enjoy them too, happy baking! Preheat your oven to 350º and prepare a mini muffin pan with baking spray or foil liners. In a large bowl melt the butter in a microwave, then stir in the sugar and heat for an additional 30 seconds. Add the cocoa powder, salt, baking powder, vanilla and egg, stir until smooth. Add the flour and chocolate chips and combine. 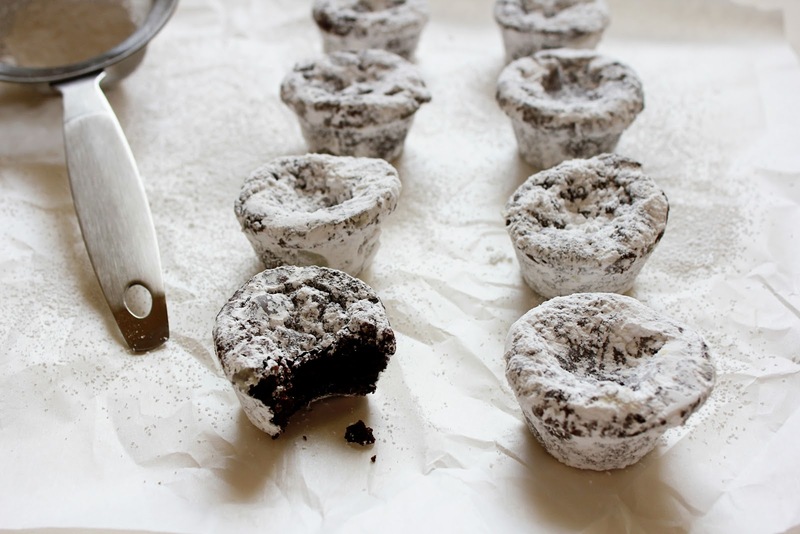 Spoon the batter into the mini muffin pan and bake for 13-15 minutes. Remove the brownies from oven and cool completely. 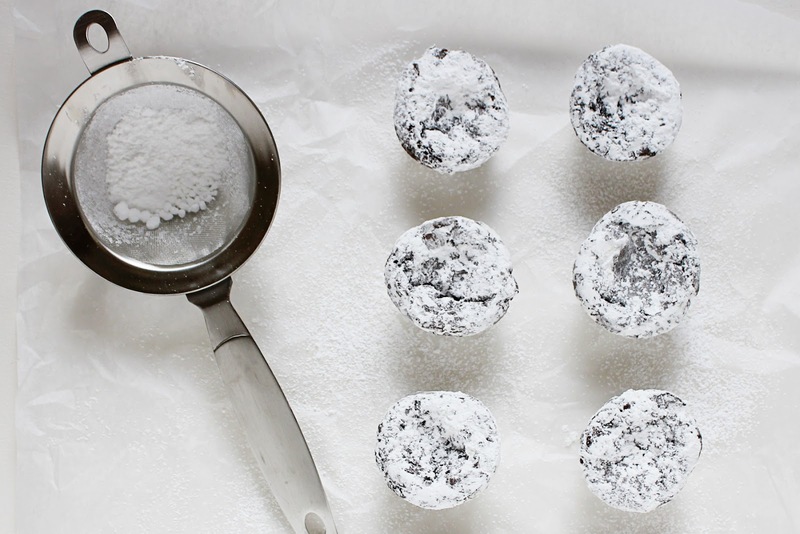 Place the powdered sugar in a zip top bag and working in batches add the brownies and shake to coat. Shari that sounds like a great idea to me! They name fits them perfectly! so moist and easy to eat… Happy Anniversary! They look sooooo good!! PLUS powdered sugar.. DELICIOUS!